There are growing calls across the country for a handgun ban after a recent spate of shootings, but the new head of the RCMP isn't convinced. A recent spate of shootings is driving a swelling chorus of calls for a handgun ban — but the nation's top Mountie says she isn't convinced it's the answer. On Monday, Montreal's city council will debate whether to push for a federal ban on handguns. The motion before council calls on Montreal to demand the Liberal government ramp up the restrictions in its Bill C-71, tabled last March, by prohibiting civilians from possessing assault rifles and handguns. "I'm not sure if a complete ban is the answer or tweaking the legislation to ensure more accountability. That's definitely something we need to study," RCMP Commissioner Brenda Lucki told Chris Hall, host of CBC's The House. "But the bottom line is one life taken by one handgun is one life too many, so we definitely need to look at alternative ways of dealing with that situation." The Montreal motion cites the Polytechnique massacre of 1989, the 1992 Concordia University massacre, the shooting at Dawson College in 2006 and the Quebec City mosque shooting in 2017. It follows a motion Toronto city council put forward in the wake of the deadly shooting on the city's bustling Danforth Avenue last month. Julianna Kozis, 10, and Reese Fallon, 18, were both shot and killed when 29-year-old Faisal Hussain opened fire in the city's Greektown neighbourhood. Thirteen others were injured. Toronto city council adopted a motion that asks Ottawa to ban the sale of handguns within city limits. The federal minister in charge of organized crime reduction has said he's open to considering a ban to help tackle gun violence. "I think it's important that we be open to every consideration," said Minister of Border Security and Organized Crime Reduction Bill Blair. Prime Minister Justin Trudeau said his government is listening to both cities. "We are going to listen very attentively to, obviously, what the city council in Toronto has done [and] what Montreal might do next," he said earlier this week. His comments came in the wake of a more recent eruption of gun violence — the shooting in Fredericton last week that claimed the lives of two police officers and two civilians. 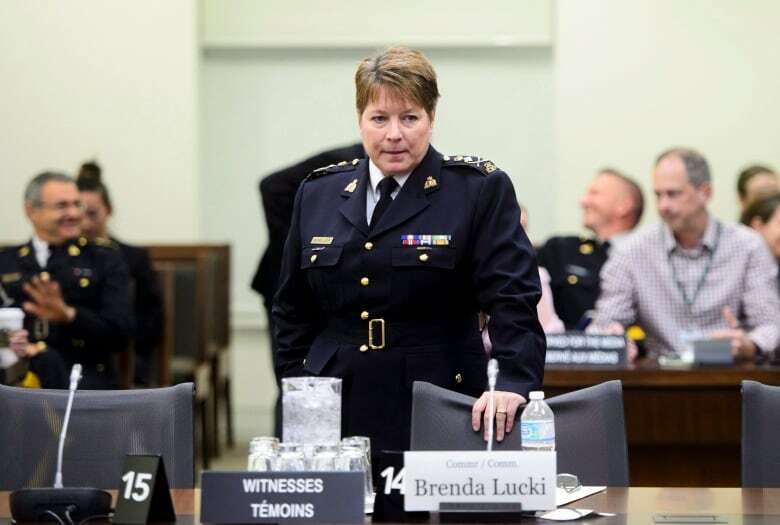 Lucki, who took the RCMP's helm back in April, said the presence of handguns in Canadian communities is something her officers keep in mind on the job. "In some of the bigger areas that we police, handguns are definitely an issue and it's something that our members are always aware of," she said. "Every night I go to sleep, I just hope my members aren't complacent and take every one of those calls seriously." A 2016 report from the RCMP's Commissioner of Firearms found there were more than a million restricted and prohibited firearms across the country.